Facing My Fear | What the Craft?! Years ago, I purchased it with the great intentions of learning to sew along with my older daughter N. We were excited and delighted until taking it out of the box. The thing looked like a mechanical monster. Oh heck no. Back into the box it went. Tucked deep into a little-used closet. No sewing for me. Nope. No way. 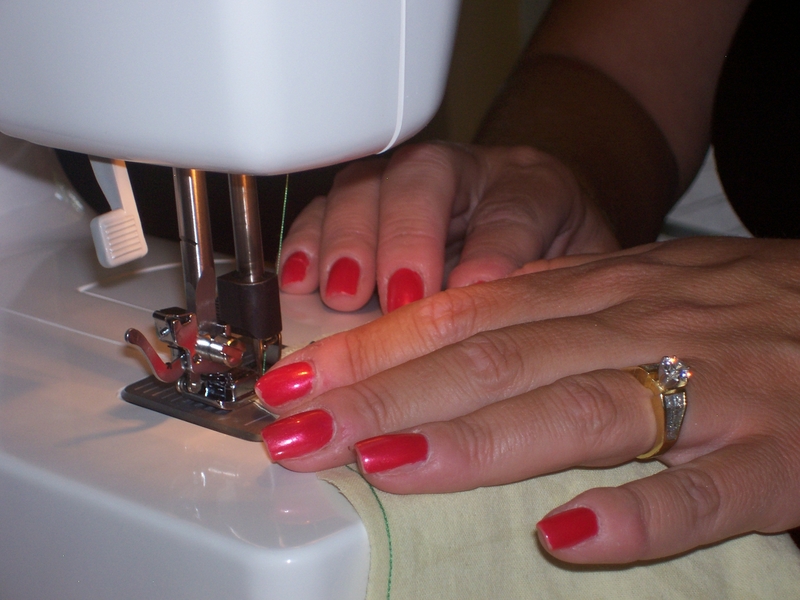 Over the years I met many great gals who loved to sew. No fear with these ladies. I occasionally would suggest that I take a lesson or two from them, but heaved a secret sigh of relief when we became too busy to get it done. Fast forward. Labor Day 2008. My friend Kari, bless her widdle heart, tells me to stop being a wimp, grab the machine and get to her house. (She was a bit nicer than that, but you get the picture.) Faced with no other options or distractions, off we went. Machine and Me. After discovering that I indeed could sew something that looked like a seam without driving the needle through my fingers or somehow breaking the machine, I felt SO ACCOMPLISHED! Could it be any cuter? I think not. It’s even reversible! 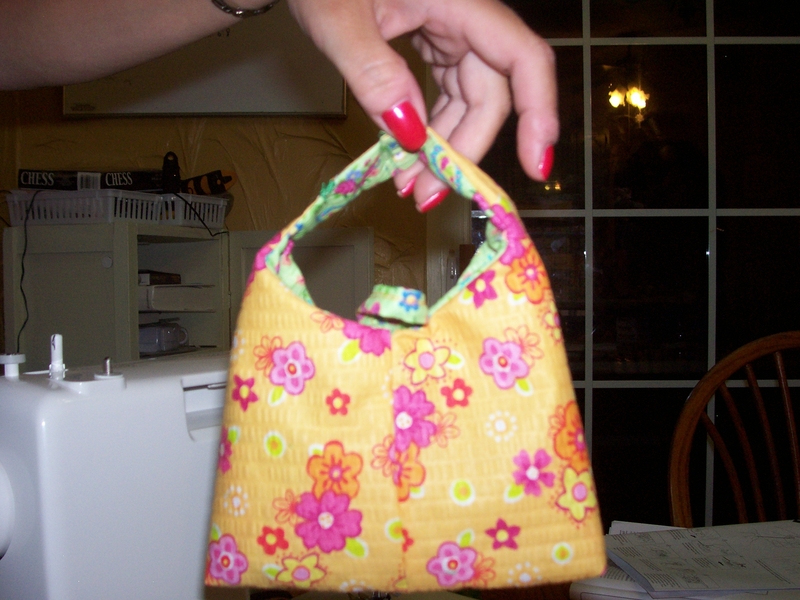 I’ll post a picture of it inside-outsy after I teach N to sew the big pink buttons on it. I’ll betcha Kari would even share her pattern with us if you want it! I just pulled out my sewing machine about a year ago, and I (so far) like sewing without patterns and just making stuff up. Yes, it’s great fun. I’m really enjoying myself and given the nature of some of my family’s requests (like a sleeping bag for my girls’ stuffed buddies), I know I’m going to get to sew without patterns rather quickly as well! I am also a closet sewing machine fear-er lol. My mom has shown me how to thread the stupid bobbin & needle umpteen times. I cannot get it. Can’t remember how to do it for the life of me. Then actually sewing is so slow…I’m so afraid of the pedal, I’d rather just wind the circle knob on the end & make it go slow so I don’t sew my fingers together or something. Yikes! Congrats on overcoming your fear!